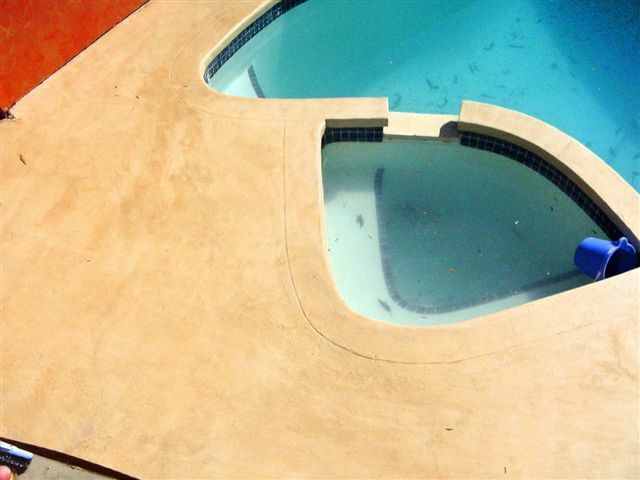 Occasionally Epotec may get damaged, suffer from hydrostatic pressure, returning osmosis (in fibreglass pools) or some other localised damage, such as dislodgement of the substrate (Render, Marblesheen) Though Epotec is tough, mechanical impact or pressure may have been sufficient to dislodge an area. Generally this may be repaired without emptying the pool if the affected areas are less than about 300 x 300mm each (1 sq ft). Firstly carry out an assessment to determine the cause of the issues. If these are the result of mechanical damage, then it will be quite evident. If the cause is water pressure from behind, (hydrostatic) then it can be painted over, but may come back unless the cause has been addressed. The same applies to osmosis issues. Once you have determined the extent of work to be undertaken obtain sufficient Epotec to carry out the repairs. One standard pack covers about 10 – 15 sq M in one coat or maybe a “touch up” pack covering about 1.5 – 2 sq m in one coat. Don’t forget to get the right colour, though it will not match the original exactly due to wear and tear on the original coating. However over time the repaired area can be expected to meld into the older Epotec. Having got your Epotec and all other equipment etc (refer to Surface Preparation and Application Notes), then it’s time to undertake the work. When completely ready, mix up the Epotec and allow to stand for at least 20 mins, 30mins is much better. Thoroughly wet out and load up either a suitable size brush or roller so as to cover the area in ONE application. As a guide 20 – 50 mm wide, “thick” brush for areas from 30 – 200 mm wide areas and a 150 mm roller (20 mm nap) for areas 200mm – 300 wide. If taking the loaded brush or roller below about 300 mm (1ft) place in a plastic bag, close top, carry very close to area to be painted, open bag allowing water to flow in and slowly remove from bag. If recoating close to the surface no bag is necessary. Place on middle of the area to be painted and slowly spread Epotec around, without disturbing water any more than necessary. Carefully finish off in one direction, and then replace in bag and bring to surface. It may be possible to reload brush/roller for a couple of applications, before replacement is necessary. (Water mixed with Epotec in this fashion is generally not an issue). The idea is to get the Epotec on in one coat as a replacement situation. It should not be necessary to apply 2 coats, though if wanted, sand between coats and wait 1 – 3 days before applying second coat. Upon completion there may be a slight paint residue on pool water surface; this should disappear within a day or so of running the filter. 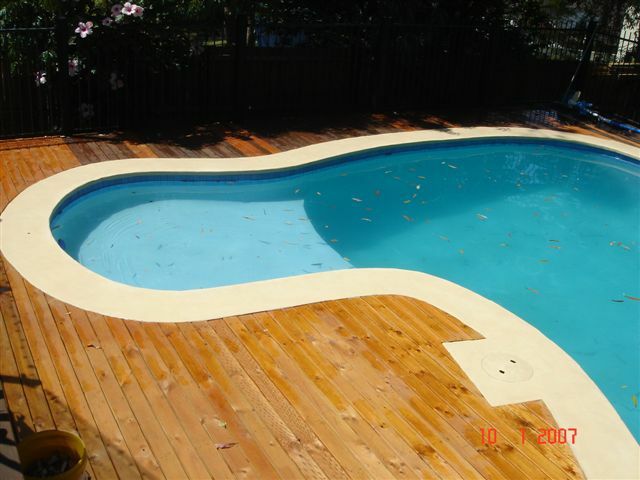 The Epotec should be fully hard within 5 – 7 days so treat with care till then, after which time the pool can be used.